Chattanooga Police have arrested a man they say crashed into a police car and injured an officer who was helping with a disabled vehicle on Highway 27 Sunday. CPD says the crash happened on Hwy 27 northbound on the Olgiati Bridge around 12:30 AM. CPD says the officer was in his patrol car with emergency lights on blocking the right lane of northbound traffic from a disabled vehicle. 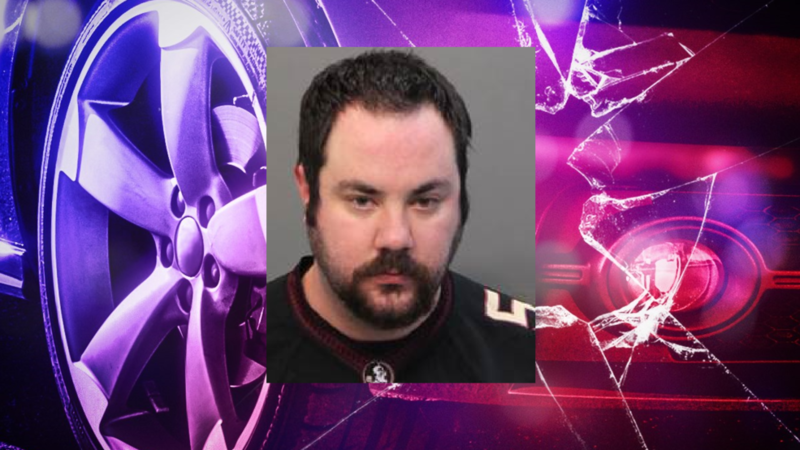 CPD says a Dodge Charger being driven by 29-year-old Daniel Allen Upton crashed into the officer's car, causing the car to hit the disabled vehicle. Officers responded to the scene and found he had suffered neck and back injuries. He was taken to a nearby hospital. We do not currently know the officer's condition. When questioned at the scene, Upton told officers that he had fallen asleep before the crash. Officers say they smelled an intoxicating substance on Upton's person and breath as he spoke, was unsteady on his feet, and say he had bloodshot, watery red eyes. Upton told police that he had previously had two drinks of vodka at Mike's Hole in the Wall (a local bar) before driving. Officers gave Daniel Upton a breathalyzer test, and found that he had a BAC of 0.212 - over twice the legal limit.